What do you know about Australia’s first federally funded research centre regarding medical cannabinoids? Professor Jennifer Martin introduces Health Europa to the Australia Centre for Cannabinoid Clinical and Research Excellence, Australia’s first federally funded research centre on medical cannabinoids. Funded by the National Health and Medical Research Council, the Australian Centre for Cannabinoid Clinical and Research Excellence (ACRE) was established late 2017 to develop a national research and policy framework for medical cannabinoids and to make better use of existing cannabinoid clinical and research data and infrastructure. In doing so, ACRE aims to bridge the gap between research, health services, industry and consumers to provide safe guidance on the therapeutic use of cannabinoids and translate evidence into policy and practice. Health Europa spoke with ACRE director Professor Jennifer Martin to learn more about the centre and the work going on in Australia to build an evidence base for medical cannabinoids. What are the main aims of the Australian Centre for Cannabinoid Clinical and Research Excellence? ACRE essentially developed out of the public advocacy for access to medicinal cannabis that was happening at the time. 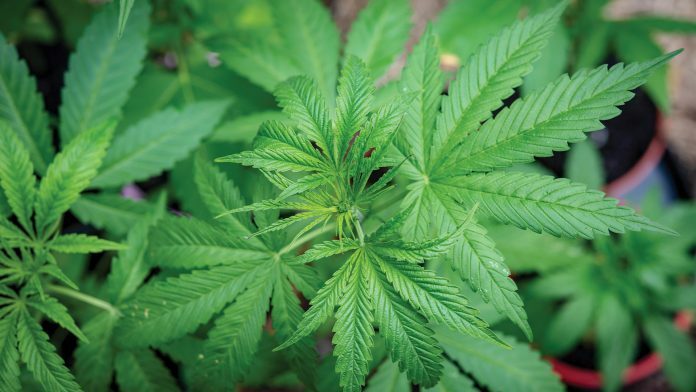 In 2014/15, Australia was in uncharted territory, with a strong push from patients and their relatives for medicinal cannabis to be available before it had become a registered product. Government in Australia needed to consider how to support the immediate needs of patients while considering the long-term community impact. 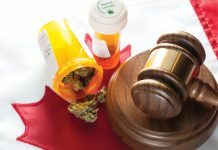 The first thing that happened was that the Federal Government decided that cannabinoids would be regulated as a medicine, which prompted the need to build an evidence-based clinical framework. Clinicians, pharmacologists and others in the medical community understood a huge amount of research would need to be done – and quickly. 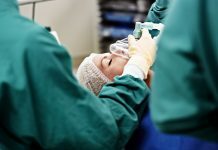 A group of leading Australian research and clinicians from major national universities and research institutions applied to the Federal Government for funding, our idea being that there were probably a number of research hubs out there that were not yet collaborating or sharing knowledge and were potentially duplicating their research efforts. This group of researchers and clinicians are now working together, supported by an exemplary International Advisory Board, which draws together members and international perspectives from Israel, Brazil, the Netherlands, Canada, USA, UK and New Zealand, and a Clinical Advisory Group with leading Australian clinicians from across a number of key disease areas. In addition to streamlining disparate research activities – and making better use of the data and literature we already have – ACRE investigators wanted to agree on certain standards in respect to terminology (e.g. 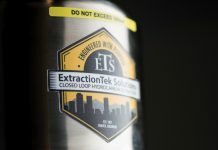 what constitutes recreational versus medical cannabis) and study methodologies – for instance, what measurements we were going to take, what products we would be using and how, and how we would collect the data. That way, we would be able to share and combine datasets and information. Lastly, we wanted to build good links with pharmacy and pharmacology groups, clinical networks and government, in order to be able to quickly translate the evidence we were gathering into policy and clinical practice. When we were established the community interest in medicinal cannabis was unmistakable and government was under pressure to find solutions for growing patient requests; however, there was no real ‘go-to’ science-based group for them to turn to. We wanted to fill that void. What key research gaps are you aiming to address? Clinical science, i.e. how should drugs be given to patients, how do they work, and what effect do they have? In particular, we are interested in understanding more about what dose medical cannabinoids should be used at for a given condition. That is a huge knowledge gap, and it’s really important. Further, if a doctor is going to prescribe something to their patient, they need to know that it’s a high-quality product, that there’s no variation between batches, and that what’s written on the label is what’s in the packet. Doctors also need guidance on how and when the patient should take the drug, how much of it they should take, and what side effects they might experience. People in countries like the UK, Israel, Canada and America are already doing clinical trials comparing medical cannabinoids to things like placebos, and assessing how effective they are, but before that we felt it was important to know what the best doses are. How would you assess the current research infrastructure for medical cannabinoids in Australia? Today, I would say it’s actually very strong. For one thing, there is a much greater dialogue happening now between clinicians and researchers, who might not have come into contact prior to medical cannabis becoming part of the conversation. For instance, a paediatrician and adult rheumatologist would previously have had little reason to speak with one another – they are from entirely different specialties that have no overlap – but, today, they’re sharing their experiences with cannabinoids and side effects. That’s opened up opportunities for collaboration – and not just in cannabis research but in other areas, as well. 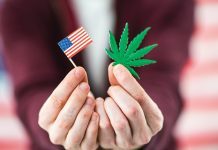 In the research regulation space, the Federal Government has also made an enormous effort to streamline legislation, for example, around how much cannabis can be held for research purposes and how it can be grown. State governments have also taken steps to streamline previously burdensome processes. For instance, you previously had to get a state licence before applying to the Federal Government for a licence to import cannabis, but now you can apply to both at the same time. Each has made some incredible commitments, which will not just benefit research but ultimately patients. What further measures would you like to see put in place to help build the evidence base on medical cannabinoids? I’d like to see a clearer distinction from policymakers between recreational cannabis and medical cannabis. I think we tend to drift off the science path every so often. We have state elections now in New South Wales and we have a federal election coming, and I think whenever that happens, people can use what’s going on with medical cannabis to try and push their own agenda – whether that be decriminalising or legalising recreational cannabis or liberalising wider drug policy. Both of those things are important in their own right and worth talking about, but they aren’t part of the medical cannabis research conversation and confusing them in that way ultimately puts patients at risk. We need policymakers to differentiate between high-quality medical cannabinoids and products that are being properly researched and low-quality products that are being used recreationally. As mentioned, ACRE has recently put in place an International Advisory Board to govern our researchers and guide our research agenda and priorities. Comprised of senior clinicians, policymakers and scientists from around the world, the board also provides a platform for key players to discuss key policy changes that are happening in their own countries, so as to learn from each other’s success and failures. I’d like to strengthen that and maybe attract some funding for it, because at the moment all of the members give their time pro bono. Looking to the future, what are ACRE’s priorities moving forwards? One of the key things we’re doing at the moment is putting out interim Prescribing Guidance Documents for doctors in Australia to use when they’re prescribing cannabis medicines. 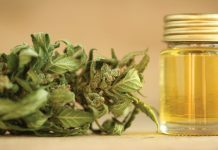 These basically set out the information we have about particular cannabinoid products, what conditions they might be useful for, and which states they are available in, as well as some guidance for doctors on how they should be used. Those will be reviewed annually and updated as new evidence comes out. We are also hoping to publish some of our clinical trials soon so that those results can also be translated into additional guidance for doctors, and are setting up a facility for use by growers and companies looking to conduct studies on the drugs they are developing. 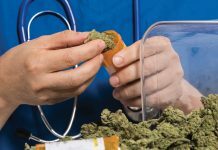 ACRE also highlighted in its research application that now is a unique and timely opportunity to establish a world-class pharmacovigilance, data monitoring and collection system for Australia that provides centralised information on medicinal cannabis. ACRE has already taken critical steps to make this happen and it will enable direct and robust evidence to inform government, prescribers and the public. Martin is also director of the NHMRC-funded Australian Centre for Cannabinoid Clinical and Research Excellence (ACRE), Australia’s first federally funded research centre in medical cannabinoids to ensure quality and safety in the implementation of medicinal cannabis use in the community.